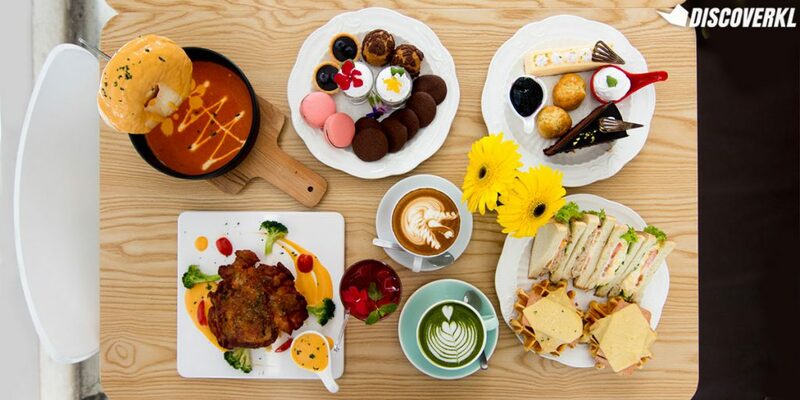 Cups Cafe in Cheras Balakong is a cafe that takes its food and ambiance seriously. Run by a team of four siblings, their chemistry flows within the walls of this cafe. The interiors of this cafe is drawn from Eileen, the founder and her sister’s love for nature and Japanese designs. 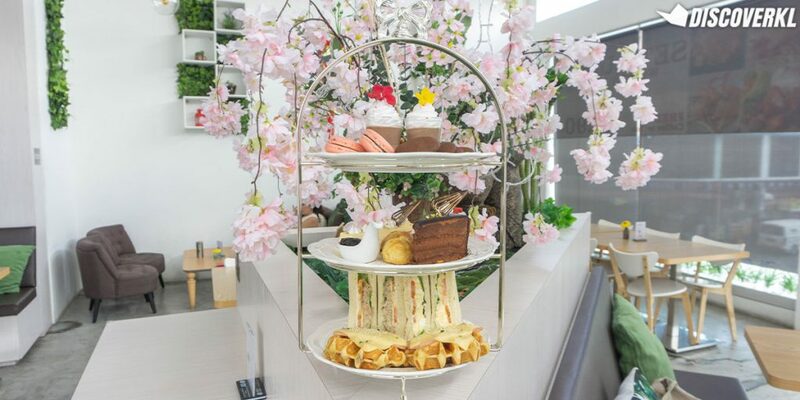 Having spent a few years in Europe, Eileen also envisioned this cafe to emulate her relaxing high tea experiences there. Hence, the interiors of this space is peppered with flowers, foliage and elements of nature. 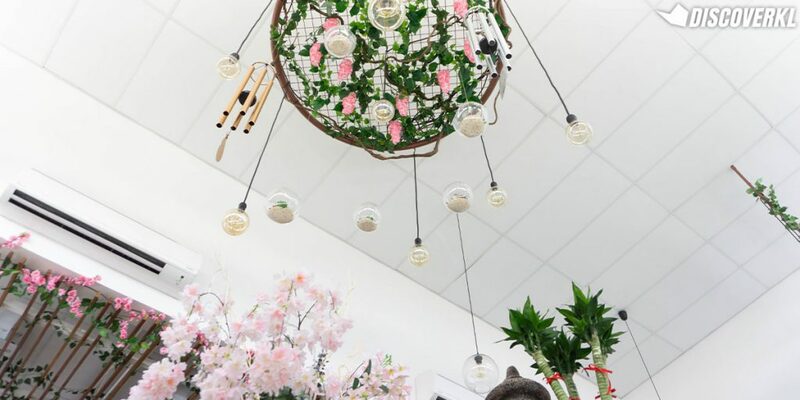 Occupying the center of their space is a cherry blossom water feature with custom-made hanging decors from the ceiling. Fashioned like a dream catcher, this ceiling decor is intertwined with leaves and has lights and baubles with terrariums in them. The wide window panels and additional transom windows on top lights up the space beautifully too. The adjustable window shades keep the place cool while providing great lighting for your photos. 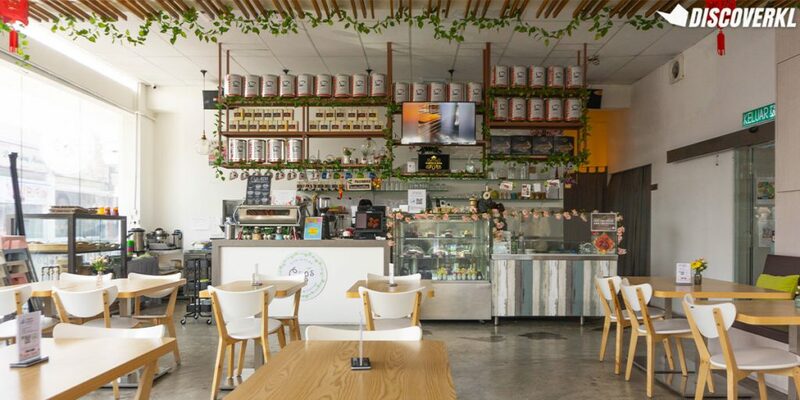 With soft bossa nova and water flowing sounds in the back, Cups Cafe is a peaceful contrast from the hustle and bustle of Cheras. From table to farm and back, Cups Cafe pours their passion into quality nutrition for their customers by making as many things as possible from scratch. 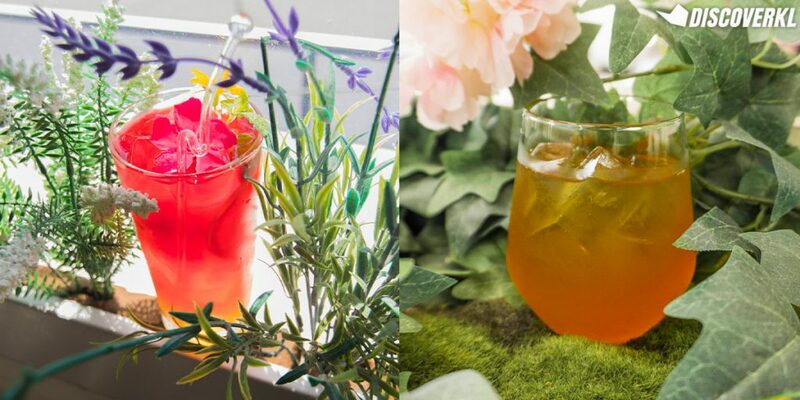 For example, the coffee grounds at this cafe are re-purposed as fertiliser to grow herbs, veggies and edible flowers used in this restaurant. 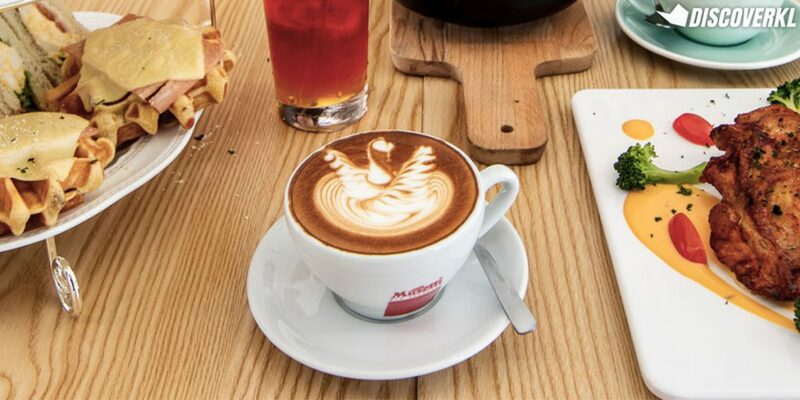 Hence, this cafe is actually named as Life in Cups because everything begins from a cup of coffee. However, they go by Cups Cafe as it’s easier to be remembered by patrons. Besides that, they also make their own tarts, pastries, cakes, baguettes, bagels and pizza bases. 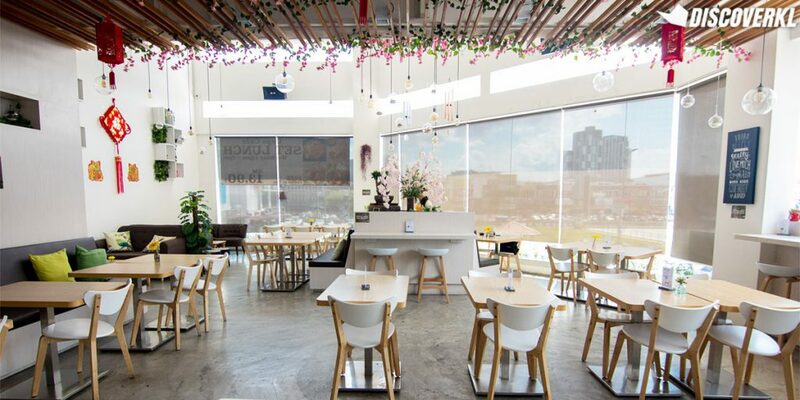 With one sibling who graduated as a chef from Australia and another sibling who is a nutritionist, the dishes served in this restaurant is ensured to be from the cream of the crop in the food industry. 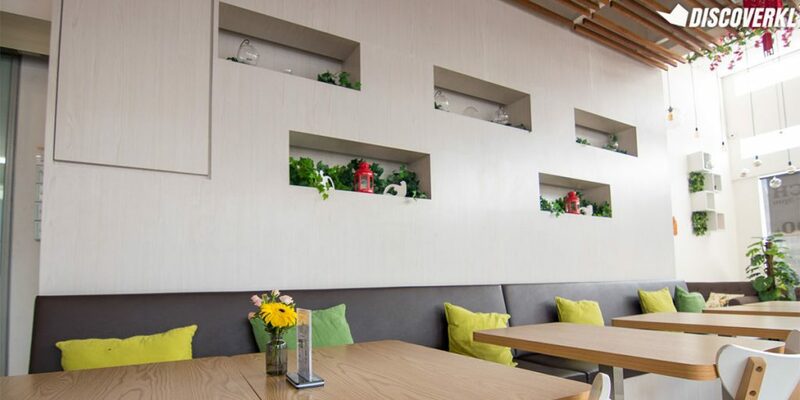 This cafe was also created to become a space for friends and families to commune over a cup of coffee or a meal. Hence, with homegrown ingredients and dishes made from scratch, Cups Cafe tries their best to keep their prices affordable without compromising on quality. Here are some of their bestsellers that we tried! Some dessert shops tend to focus on their desserts and serve subpar coffee but Cups Coffee makes a decent flat white. Using dark roasted coffee beans from Musetti, it was full bodied and slightly acidic. 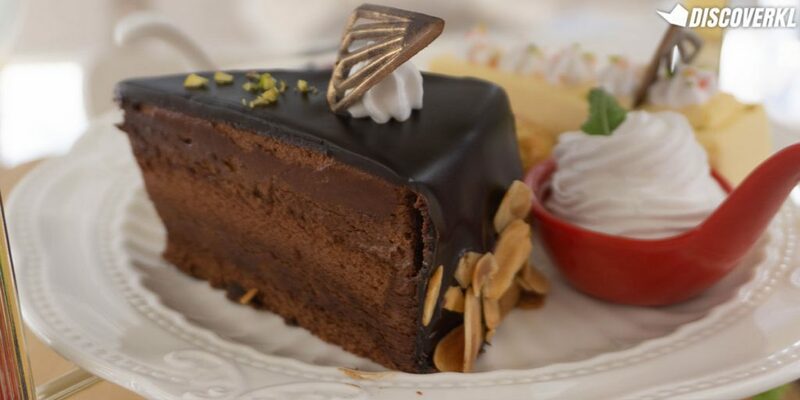 It paired really well with the sweeter treats like their Valrhona Moist Chocolate cake. 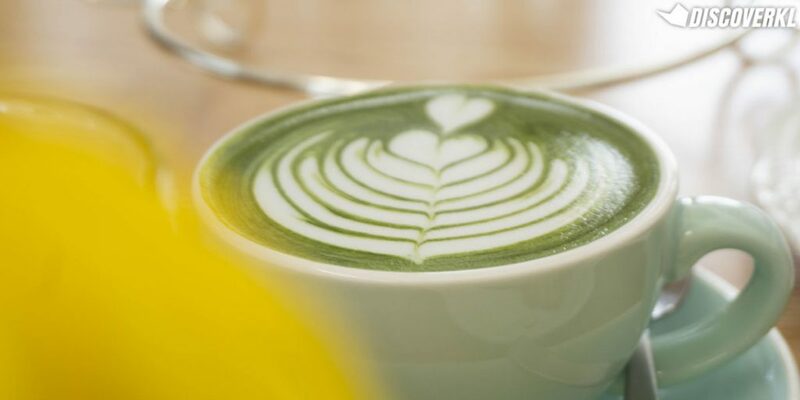 Matcha lovers can expect a solid serving of a matcha or houjicha latte at Cups Cafe as they source them directly from Niko Neko Matcha. Personally, I’m not a fan of matchas but this latte was nicely balanced between the taste of the tea and milk. 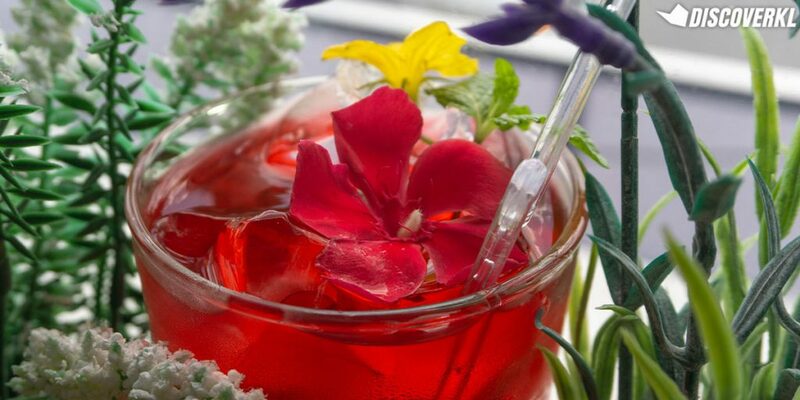 The Aurora Fruit Tea contains fresh rozelle juice boiled from the flowers grown in the team’s home garden in Kajang. The natural tartness of the rozelle is balanced by the sweetness of the mandarin orange and honey lemon syrup at the bottom. Besides that, they also serve a range of enzyme juices here. The Summer Windblow is a bitter gourd enzyme with honey. It’s surprisingly not a bitter drink. Eileen mentioned that naming a drink “bitter” might sound off-putting to guests. Hence, they went with a name that exuded positive vibes instead. The enzyme juice fermentation process produced a drink that has the herbal fragrance of a bitter gourd but the sweet and refreshing taste of honey. Plus, enzyme juices and bitter gourds have their fair share of health benefits such as being cooling and improving one’s skin complexion. Their Hanging Muddy Wheel is a homemade bagel with a softer texture than usual. While it may be a little chewier for young children and the elderly, the bread softens up when soaked in the tomato soup. 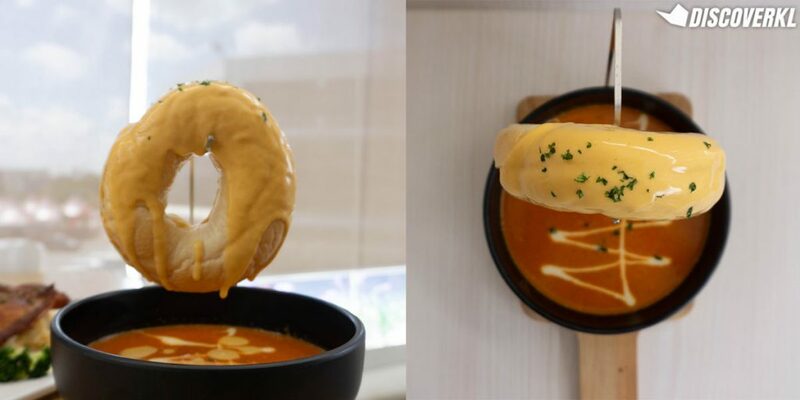 Alternatively, you can also order a croissant to-go with the soup for a softer chew. The homemade roasted tomato soup was a little on the sweeter side but it went well with the cheese-covered bagel. A little messy to eat but definitely a filling treat. 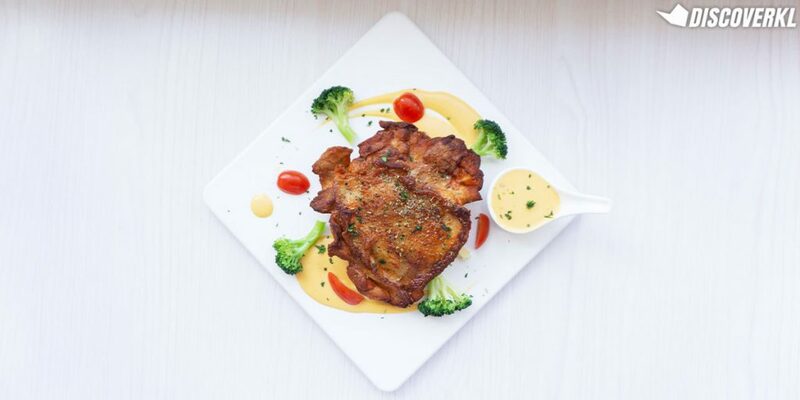 Besides that, their Rosemary Grilled Chicken Chop really caught our hearts. 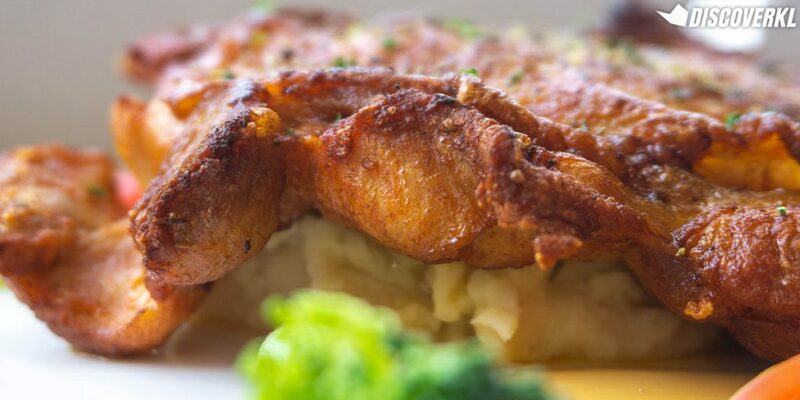 This generous chicken cutlet is served on a mountain of homemade mash with cheese sauce on the side. Perfectly grilled, the chicken thigh was easy to slice through while being moist and flavourful on the inside. Served with some steamed broccoli and cherry tomatoes, it is quite a decent portion too. 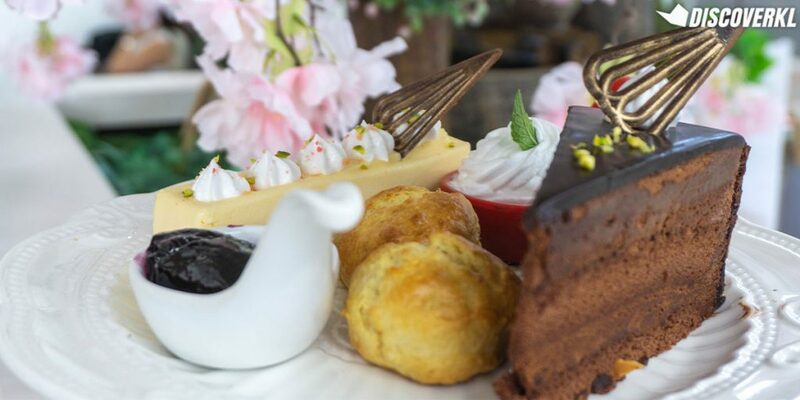 For RM68, their 3-tiered high tea set is sure to appease a wide range of tastebuds in a group of 3-4 diners. 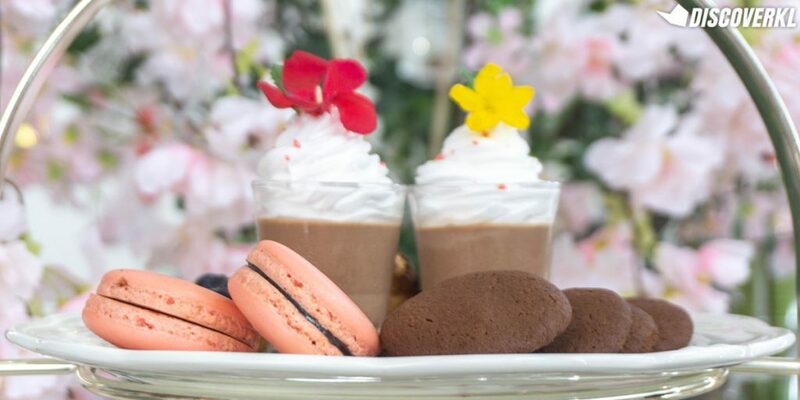 You’ll get an assortment of sweet treats in pairs such as panna cottas, fruit tarts, macaroons, cream puffs, and scones. Plus, we also enjoyed two slices of cakes of our choice and four chocolate cookies. For the non-sweet tooths, the set also comes with four sandwiches and two savoury waffles. Their sandwiches are generously stuffed with well-seasoned eggs or tuna accompanied by fresh lettuce, cheese and tomatoes. 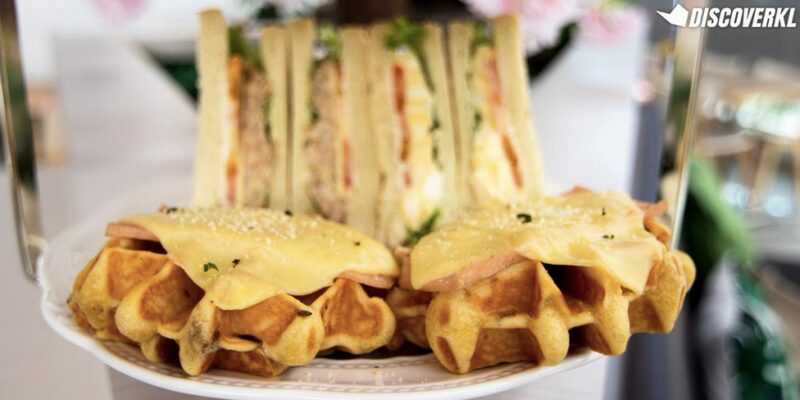 The homemade savoury waffles with ham and cheese and a sprinkle of herbs is also great to either start the high tea with or as a break between the sweet bites. Best eaten when it’s freshly served, the waffles are pillowy soft with a taste that complemented the savoury flavours of the ham and cheese. Made with Valrhona chocolate, the cake was a solid taste of dark chocolate sweetness. Easily sliced through with a fork, the mousse was creamy and fluffy. 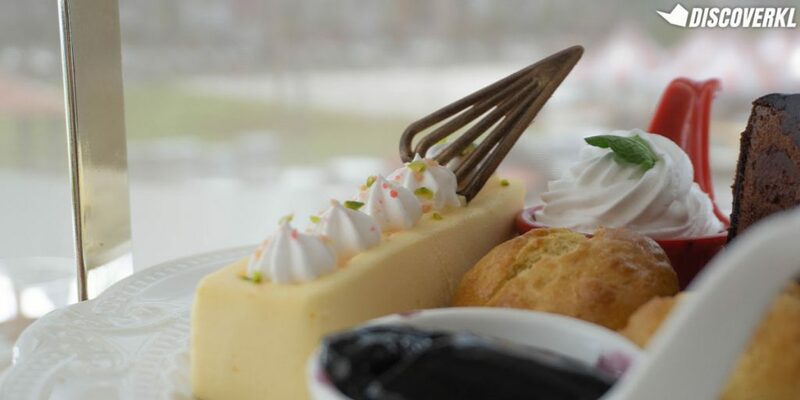 If New York Cheesecakes are your guilty pleasure, their Orange Cheesecake plays along the likes of those flavours. This is a non-baked cheese cake on a thin biscuit crumb base with citrus tartness. The little dollops of whipped cream adds a taste of vanilla and sweetness to round up the overall taste of the cake. Plus, they also have petite gateaus and seasonal desserts here! 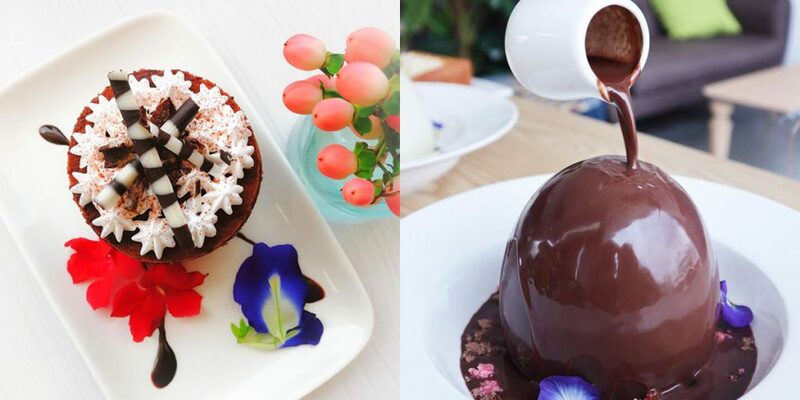 In conjunction with Easter, Cups Cafe has a chocolate ball dessert called the Dark Easter. The gimmick is that this dessert melts to reveal a cake inside. If you’re looking for a relatively peaceful space to hang out and chill on your own or with friends, Cups Cafe is a great choice. With an extensive menu of mains and desserts, there’s bound to be something for everyone. Check out their Facebook page for current deals and promotions!